Fill out your contact information, do not forget your website url. 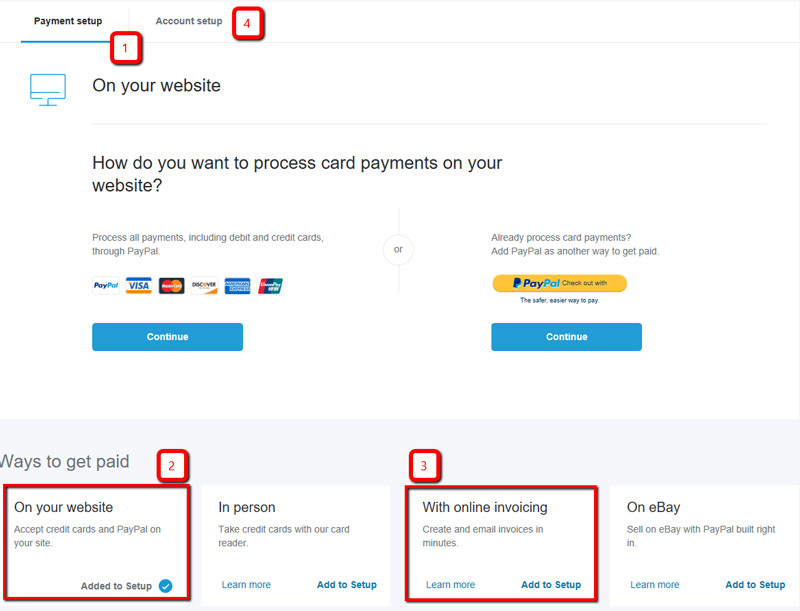 This way, PayPal knows that you will take payments online and will provide you automatically with the option to accept payments online. So points 1-3 marked below are covered. If there is a need to go there, we’ll configure that for you. More important is to move on and go to the Account setup tab (4. in the image above). Here you need to confirm your email address – it identifies your business. Best is to have the confirmation request resent – we never saw it coming in immediately. The next step will be connecting your bank accounts. Linking your bank account is essential for verification and activation. 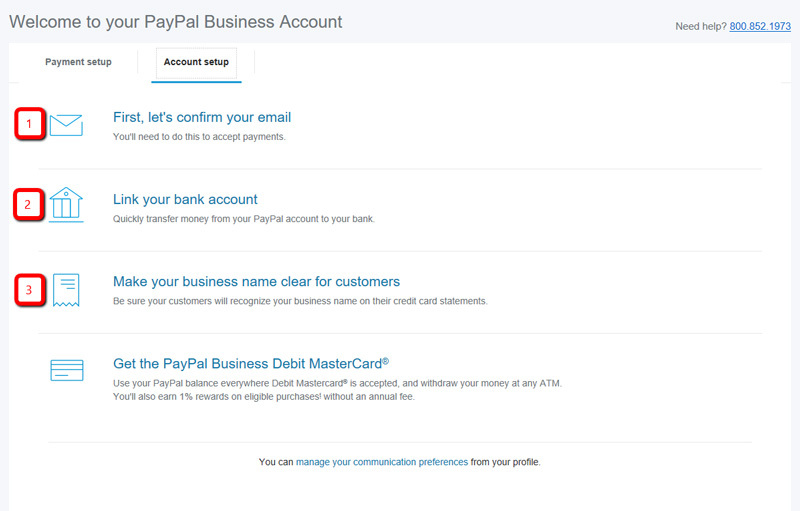 If your bank is listed on the appearing screen and you are enrolled in online banking, you can have it linked instantly by logging into your bank account within the PayPal interface. You will be verified instantly. The alternative is having PayPal deposit two small payments, e.g. of $0.28 and $0.32. This typically happens within 2 days. 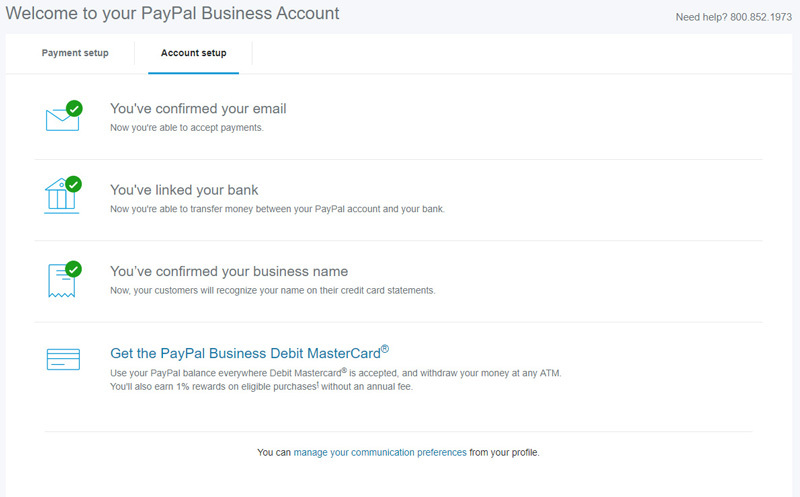 Once you see these payments in your account, go back to Tools > Business Setup in your PayPal account and enter these amounts. Now you are verified and can receive payments. Best is to also check if the shortcode people see on their statements make sense. 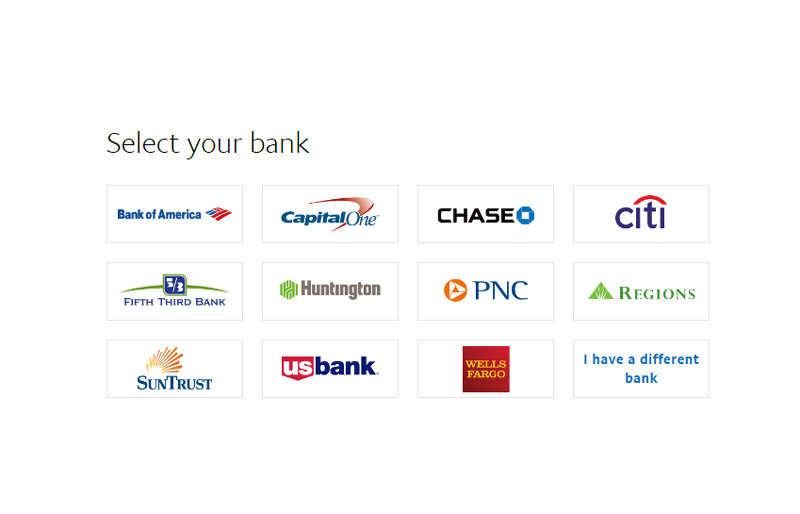 Once you see your account like this, you are ready to go.